Copic Markers are the original line of high quality illustrating tools used for decades by professionals around the world. Available in 214 colors, the Copic Marker style has nine replaceable nibs and refillable ink. All "In-Stock" items will be shipped with in 1-2 business days from the time your order is placed or payment is received excluding weekends and holidays. Standard or Rush shipping service will still have the same handling time which is 1-2 business days. Our preferred carrier for shipping within the United States is the United States Postal Service (www.USPS.com) and United Parcel Service (www.UPS.com). Insurance is Available Upon Request - Shipping Insurance is an option a buyer should consider when paying as the seller is Not Responsible for Lost or Damaged Packages due to the shipping carrier. USPS First Class Delivery time of 2-5 business days for the 48 states. 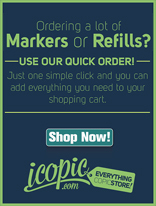 In order to receive free shipping on order of $45 or more, iCOPIC GOLD member please remember to only have Single Markers, Pens or Refills in your shopping cart. Any other products beside these in your cart will void this offer. Standard Shipping Service Delivery time of 5-10 business days for the 48 states. Standard Shipping Service Delivery time of 1-4 weeks for AK, HI, GUAM, &PR. Free Standard Shipping applies to U.S. Addresses only. Free Shipping applies to value of merchandise only, excluding tax & shipping. No other promotional code can use with this purchase unless stated otherwise Free Shipping will be void. $6.50 for Standard Shipping service delivered within 5-10 business days. $13.50 for Rush Shipping service delivered within 2-5 business days. Expedited Shipping Service - Promise to be delivered with in 1-2 business days. Please notate "Request of Expedited Shipping Service. Package need to arrive before______." in our Additional Comment Box during Checkout. Please remember that iCopic.com will charge an additional fee when we determine the final cost. Billing & Shipping Address is Different - Please click here for a demonstration of how to add a shipping address that is differen from your billing address. (View Instruction). 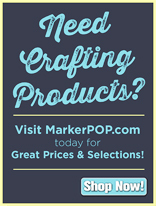 Be the first to know about new products, special offers & much more. © 2013 iCopic.com. All Rights Reserved.